﻿Jesus said, “Come follow me,” and a man named Peter was led to respond. Yet Peter struggled . . . failing again and again. When Peter fell to his lowest point, Jesus demonstrated his love and power to turn everything around. Walk with Peter on his journey from pride to humility, from guilt to forgiveness, from doubt to faith. 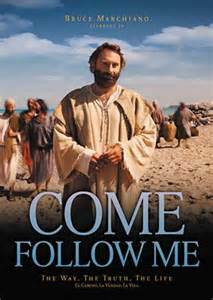 The DVD "Come Follow Me" will be delivered to your home. Please indicated on the blank line the number of copies you are requesting (limit of 10 copies each).